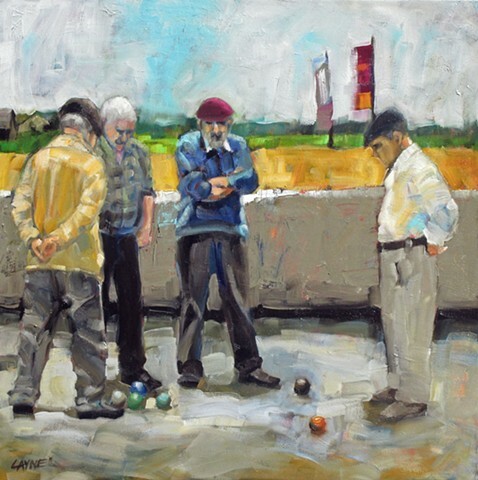 All of my bocce paintings have similar elements- elderly men, interesting stances, and concentration on the position of the balls. I find them endlessly fascinating, but I find it difficult to describe each new painting in a new way. I will say I love the colors in this one!